Lord Howe Island is known for beaches, trails, nature, wildlife, and museums. 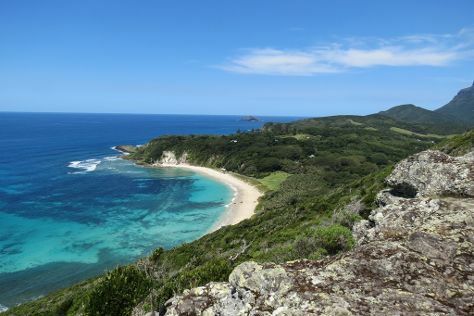 Your plan includes some of its best attractions: tour the pleasant surroundings at Ned's Beach, see some colorful creatures with a scuba or snorkeling tour, tee off at Lord Howe Island Golf Club, and take your sightseeing to a higher altitude at Mt Gower. To see more things to do, other places to visit, traveler tips, and more tourist information, you can read our Lord Howe Island road trip planner . Wrap up your sightseeing by early afternoon on the 15th (Mon) to allow time for travel back home.